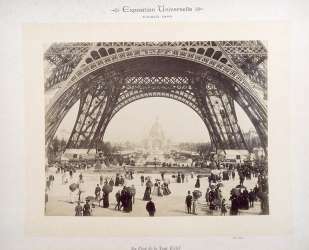 We are in the Paris of the Belle Époque, on the occasion of the 1889 Universal Exhibition. 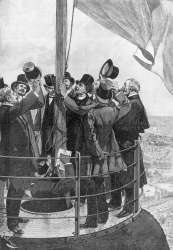 The French Ministry of Industry and Commerce is organising a competition to celebrate the centenary of the French Revolution and Gustave Eiffel, an engineer and industrialist, wants to take up the challenge, with the ambition of building a “tower more than a thousand feet high”, a bold project that haunts all architects of the time. 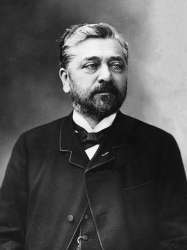 Indeed, no building has ever reached such a height, and Gustave Eiffel must fight to defend the project he is carrying out with his collaborators, Émile Nouguier and Maurice Kœchlin. However, his project was unanimously accepted, he won over the other candidates and obtained an agreement with the government in 1887, which granted him a prime location on the banks of the Seine and in the very centre of the city of Paris. The work necessary beforehand to allow the construction of the tower is titanic and frightens the Parisians, who wonder about the impossible achievement of a scale never seen before… But they are quickly amazed by the rapid progress of the site and the appearance of one floor, then another, seeming to defy the laws of gravity. The spectators watch, dazed, as this magnificent building is elevated, at an impressive rate of twelve metres per month. Bernard Marray, Gustave Eiffel’s great admirer, evokes in one of these works this “amazing technical feat” and its “remarkable speed of execution”. Indeed, it is only at the end of two years, two months and five days that the tower, “the highest in the world” is finally inaugurated. On 31 March 1889, Gustave Eiffel took up the challenge and signed a masterpiece of architecture, which soon became the symbol of the city of Paris. He himself raised the french flag at the top of the Tower in the presence of the Director of the Universal Exhibition, some of his collaborators and the great personalities of the Government and the City of Paris. All are dazzled by this prodigious building. 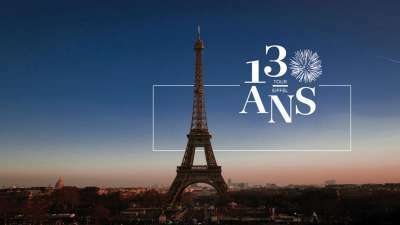 The celebration then continues at the foot of the Tower where Gustave Eiffel pays tribute to his teams and in particular to the 300 workers who built, later called the Iron Lady. It should be noted that at its birth, the Tower was red in colour! 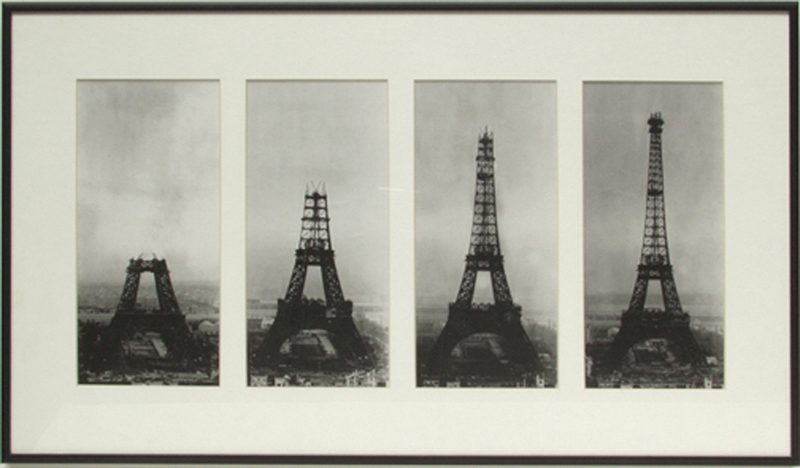 The Eiffel Tower was a massive success and was the main attraction of the 1889 Exhibition. In the first week after its completion, nearly 30,000 visitors climbed the 1710 steps to reach the summit, which offers an extraordinary view of the city. Elevators only come into service later, but they also represent real technical feats. The height of the Eiffel Tower allowed it to obtain the title of “the highest structure in the world” until 1930, when it was to be deconstructed at the end of the Universal Exhibition, and when we thought it was an ephemeral masterpiece… The Iron Lady still stands before our dazzled eyes, and today celebrates her 130th birthday. 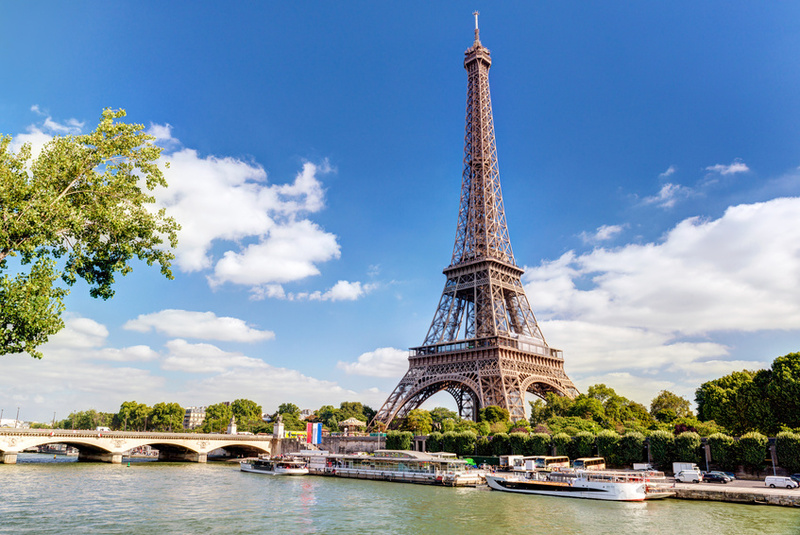 We would be more than happy to show you our beautiful Eiffel Tower during a VIP tour: if you are interested, do not hesitate to contact us here.